Home › Specials › Keep moving in 2019! Why not challenge yourself in 2019 with a World Journeys active journey? Whether it’s a serene walk through rural Japan, or something more challenging, like trekking Africa’s tallest mountain, we have something to suit everyone’s desired level of activity. Take a look at a few of our favourites below, and call us for more inspiration. Walk through rural Japan on the Nakasendo Trail, a route used since the feudal times linking Kyoto and Tokyo through the central mountains of Japan. Experience wonderful scenery, beautiful guesthouse lodging in family-run minshukus and ryokans, sumptuous cuisine, and the rich traditions and culture of the Land of the Rising Sun. Your journey comes to an end in the bustling city of Tokyo. Croatia is a land of beautiful islands, rich history, Mediterranean vegetation and mild climate, and the best way to explore it is, without doubt, by bike. Embark on a guided cycling and cruise tour around Dalmatia, starting on Brac Island and reaching journeys end in Split. You’ll explore amazing coastlines, medieval towns, charming villages, pristine beaches and picturesque bays. Onboard your premium ship, relax in spacious en-suite cabins and enjoy buffet breakfasts, three course lunches, and a Captain’s dinner. 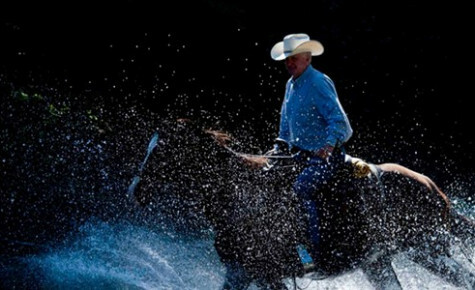 Experience an authentic ranch in the Canadian Rockies on this horse riding vacation in British Columbia. Three Bars Ranch has a complete range of diverse horseback riding activities with two outdoor riding arenas, a world-class horse training facility, an indoor riding arena, marked hiking trails, shooting sports, fly fishing, mountain biking, ATVs, and river rafting. After a full day of exploring BC’s pristine wilderness, head back to your cosy cabin, take a swim in the heated indoor pool, or relax in the Jacuzzi. Situated south of the equator in Tanzania and standing at a height of 5,895m is Africa’s tallest mountain – Mt. Kilimanjaro. As you hike through the lush green rainforest from the Machame Gate you realize that you have just embarked on an adventure of a lifetime! Gigantic glaciers and beautiful ice formations flow down from the summit, with the successful trekker being treated to spectacular views, as well as the satisfaction of conquering the highest “free standing” mountain in the world. The Okavango Delta is the jewel of Botswana, a water wonderland formed by floodwaters that flows into the Kalahari Desert. For a one-of-a-kind adventure, a horseback safari through the wetlands offers a jaw dropping experience like no other. On our Okavango by Horseback tour, stay at the luxurious Macatoo bush camp and ride through 450,000 acres of pristine wilderness, spotting all manner of wildlife along the way. Many other safari activities are also available for both riders and non-riders. Tropical rainforest, coral reefs, abundant wildlife and endless beaches – cruise through the pristine waters of Panama and Costa Rica in this small ship cruise with UnCruise Adventures. You’ll visit the UNESCO World Heritage sites of the Darien Jungle, Coiba National Park and Fort San Lorenzo, go in search of marine life, spot howler monkeys, scarlet macaws, white faced capuchins and sloths while hiking the jungle, kayaking and snorkelling the reefs of Las Perlas and Granito de Oro islet.